Steve Martin On Being 'Born Standing Up' He went from performing in an empty San Francisco coffee house to hosting the Oscars. 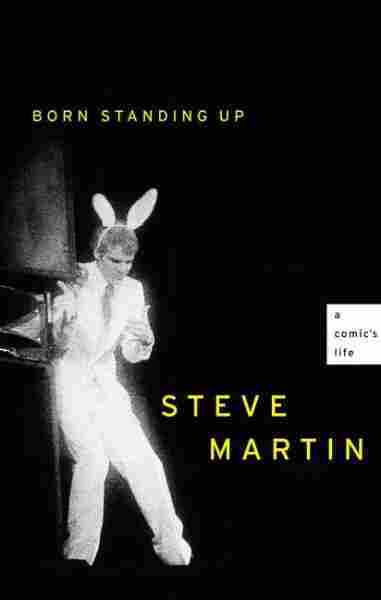 In his memoir Born Standing Up, out now in paperback, comedian Steve Martin talks about his early days as a stand-up comic — and why he quit. 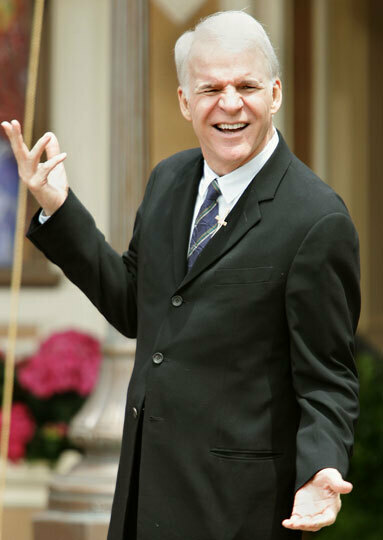 A comic's life: Steve Martin's long list of credits includes the films The Jerk, Father of the Bride and Planes, Trains and Automobiles as well as the books Shopgirl and Cruel Shoes. 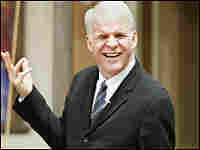 Steve Martin went from performing in an empty San Francisco coffee house to hosting the Oscars. In between, he spent 18 years as a stand-up comic — four of them, by his account, successful years. In his memoir Born Standing Up, Martin chronicles those stand-up years, the childhood (including a brief career at Disneyland) that came before them, and the perils and pleasures of celebrity. And he talks about why, at the height of his stand-up fame, he put that life behind him to take up acting and writing. He calls the book not an autobiography, but a biography of a guy he used to know. I did stand-up comedy for eighteen years. Ten of those years were spent learning, four years were spent refining, and four were spent in wild success. My most persistent memory of stand-up is of my mouth being in the present and my mind being in the future: the mouth speaking the line, the body delivering the gesture, while the mind looks back, observing, analyzing, judging, worrying, and then deciding when and what to say next. Enjoyment while performing was rare—enjoyment would have been an indulgent loss of focus that comedy cannot afford. After the shows, however, I experienced long hours of elation or misery depending on how the show went, because doing comedy alone onstage is the ego's last stand. My decade is the seventies, with several years extending on either side. Though my general recall of the period is precise, my memory of specific shows is faint. I stood onstage, blinded by lights, looking into blackness, which made every place the same. Darkness is essential: If light is thrown on the audience, they don't laugh; I might as well have told them to sit still and be quiet. The audience necessarily remained a thing unseen except for a few front rows, where one sourpuss could send me into panic and desperation. The comedian's slang for a successful show is "I murdered them," which I'm sure came about because you finally realize that the audience is capable of murdering you. Stand-up is seldom performed in ideal circumstances. Comedy's enemy is distraction, and rarely do comedians get a pristine performing environment. I worried about the sound system, ambient noise, hecklers, drunks, lighting, sudden clangs, latecomers, and loud talkers, not to mention the nagging concern "Is this funny?" Yet the seedier the circumstances, the funnier one can be. I suppose these worries keep the mind sharp and the senses active. I can remember instantly retiming a punch line to fit around the crash of a dropped glass of wine, or raising my voice to cover a patron's ill-timed sneeze, seemingly microseconds before the interruption happened. I was seeking comic originality, and fame fell on me as a by-product. The course was more plodding than heroic: I did not strive valiantly against doubters but took incremental steps studded with a few intuitive leaps. I was not naturally talented—I didn't sing, dance, or act—though working around that minor detail made me inventive. I was not self-destructive, though I almost destroyed myself. In the end, I turned away from stand-up with a tired swivel of my head and never looked back, until now. A few years ago, I began researching and recalling the details of this crucial part of my professional life—which inevitably touches upon my personal life—and was reminded why I did stand-up and why I walked away. In the summer of 1955, Disneyland opened in Anaheim, California, on a day so sweltering the asphalt on Main Street was as soft as a yoga mat. Two-inch headlines announced the event as though it were a victory at sea. A few months later, when a school friend told me that kids our age were being hired to sell Disneyland guidebooks on weekends and in the summer, I couldn't wait. I pedaled my bicycle the two miles to Disneyland, parked it in the bike rack—locks were unnecessary—and looked up to see a locomotive from yesteryear, its whistle blowing loudly and its smokestack filling the air with white steam, chugging into the turn-of-the-century depot just above a giant image of Mickey Mouse rendered in vibrantly colored flowers. I went to the exit, told a hand-stamper that I was applying for a job, and was directed toward a souvenir stand a few steps inside the main gate. I spoke with a cigar-chomping vendor named Joe and told him my résumé: no experience at anything. This must have impressed Joe, because I was issued a candy-striped shirt, a garter for my sleeve, a vest with a watch pocket, a straw boater hat, and a stack of guidebooks to be sold for twenty-five cents each, from which I was to receive the enormous sum of two cents per book. The two dollars in cash I earned that day made me feel like a millionaire. Guidebooks were sold only in the morning, when thousands of people poured through the gates. By noon I was done, but I didn't have to leave. I had free admission to the park. I roamed through the Penny Arcade, watched the Disneyland Band as they marched around the plaza, and even found an "A" ticket in the street, allowing me to choose between the green-and-gold-painted streetcar or the surrey ride up Main Street. Because I wisely kept on my little outfit, signifying that I was an official employee, and maybe because of the look of longing on my face, I was given a free ride on the Tomorrowland rocket to the moon, which blasted me into the cosmos. I passed by Mr. Toad and Peter Pan rides, toured pirate ships and Western forts. Disneyland, and the idea of it, seemed so glorious that I believed it should be in some faraway, impossible-to-visit Shangri-la, not two miles from the house where I was about to grow up. With its pale blue castle flying pennants emblazoned with a made-up Disney family crest, its precise gardens and horse-drawn carriages maintained to jewel-box perfection, Disneyland was my Versailles. From Born Standing Up: A Comic's Life by Steve Martin. Copyright © 2007 by 40 Share Productions, Inc. Reprinted by permission of Scribner, an Imprint of Simon & Schuster, Inc.